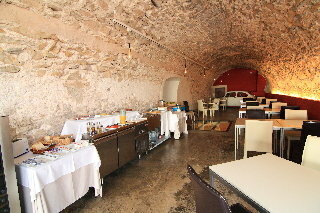 General Description: Welcome to Sant Salvador Petit Hotel (Felanitx) in Felanitx. The closest cities to the hotel are Porto Cristo (23 km) and Felanitx (5 km). Other cities: Palma (56 km). To make your stay more comfortable a reception is available. The staff in this 3 storey hotel speaks English and Spanish. Distance from the hotel to: Parque Natural de Mondrago (24 km), airport PMI (50 km), Cuevas del Drach (26 km), supermarkets (4 km) and Monasterio Sant Salvador (20 m). For your entertainment the hotel features a TV lounge. Amenities: Reception hours: 09:00 - 16:00. Meals: The breakfast type is Buffet. Guests are welcome to enjoy their meals at the restaurant. Sport and Leisure: Golfers have the opportunity to play at the nearest golf course which is 11 km from the hotel. Additional Information: The following payments are accepted: Visa Card and Euro/Master Card.